Writing has always been a passion but one I had put on the backburner. I didn’t publish my debut novel, A CRY FROM THE DEEP until our children had left home and grandkids were on the scene. I waited that long, because writing has never been a guaranteed way of making a living. In the early days of our marriage, my husband returned to university to finish his Bachelor of Arts degree and then went on to get a Master of Social Work. I needed to help cover our living expenses, which by the time he finished, included expenses for two children. With a growing family, I continued to dabble on the side, publishing the odd newspaper article, but again, I knew I needed a steadier income. So I also went back to university and got my Master of Social Work. It wasn’t going to be a career that promised big money, but at least I’d have a job and I’d be doing something both worthwhile and enjoyable. It’s not surprising then that my experience helping people finds its way into my novels. 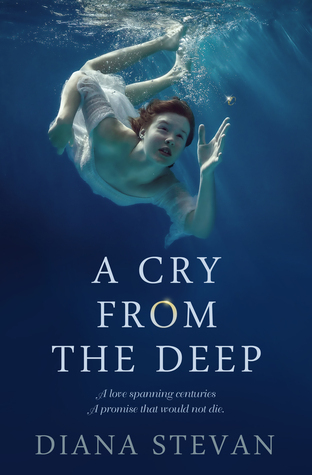 Catherine Fitzgerald, the protagonist in A CRY FROM THE DEEP, ends up visiting a therapist when her fears about diving again get the best of her. In my upcoming second novel, THE RUBBER FENCE, to be published on March 3, 2016, therapy sessions play a much bigger role. This story is inspired by my work on a psychiatric ward in 1972. My rich and varied work experiences have been fodder for my tales but I’ve never used the stories of people I’ve seen in therapy or counselling sessions. Confidentiality and respect are part and parcel of the work I’ve done. Helping people find solutions to their problems has allowed me to write characters with depth. Sometimes too much depth, meaning I’ve taken a longer time to write a novel than most novelists. Of course, much of my time was spent supporting my aging mother and taking care of grandchildren when the need arose. So given family responsibilities, A CRY FROM THE DEEP took over fifteen years and my novelette, THE BLUE NIGHTGOWN, over ten years. THE RUBBER FENCE was even longer. The latter one was a screenplay first. I had agents in both Toronto and Vancouver, who shopped it around to Meg Ryan, Jody Foster, and others. There was some interest but I realized before long how difficult it is to sell a screenplay, even harder than a novel. Though writing continues to be a challenge especially in today’s marketplace, it remains one of the things I most love to do. If you do get a chance to read any of my stories, please leave a review and pass the word along. Word of mouth is appreciated by all authors who write to have their stories read. Diana Stevan likes to describe herself as a Jill of all trades. Her eclectic work history serves her well in her writing. She's worked as a family therapist, a professional actor, professional model, teacher, and a freelance writer-broadcaster for CBC Televisions Sports Journal. 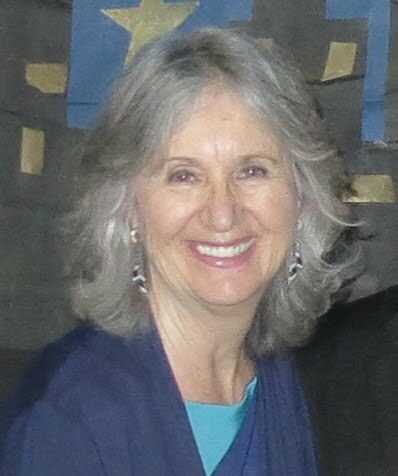 Diana was born in Winnipeg, Manitoba, where she received her Bachelor of Science in Home Economics with honors and Master of Social Work, graduating on the Dean's honour list. She's published poetry in the U.K. journal, DREAMCATCHER; a short story in ESCAPE, an anthology; a novel, A CRY FROM THE DEEP, a romantic mystery/adventure; a novelette, THE BLUE NIGHTGOWN, coming-of-age story; and her second novel, THE RUBBER FENCE, contemporary fiction, inspired by her work on a psychiatric ward in 1972, will be published in March, 2016. 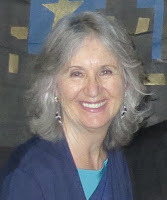 Diana lives with her husband Robert on Vancouver Island, in beautiful British Columbia. Get even more book news in your inbox by signing up for our newsletter: http://eepurl.com/mHTVL. Views, opinions, and beliefs expressed by guest writers are their own and do not necessarily reflect those of Girl Who Reads. Girl Who Reads is an Amazon advertising affiliate; a small commission is earned when purchases are made at Amazon using any Amazon links on this site. Thank you for supporting Girl Who Reads.